Recently I happened to get Physalis, also called Inca berries or Country goose berries. I love their taste. Their ladylike appearance. And their health benefits. They are amazing little wonders, each one dressed in a little leafy frock that makes them fun to eat with your hands. Physalis are one oft the best natural sources of antioxidants. 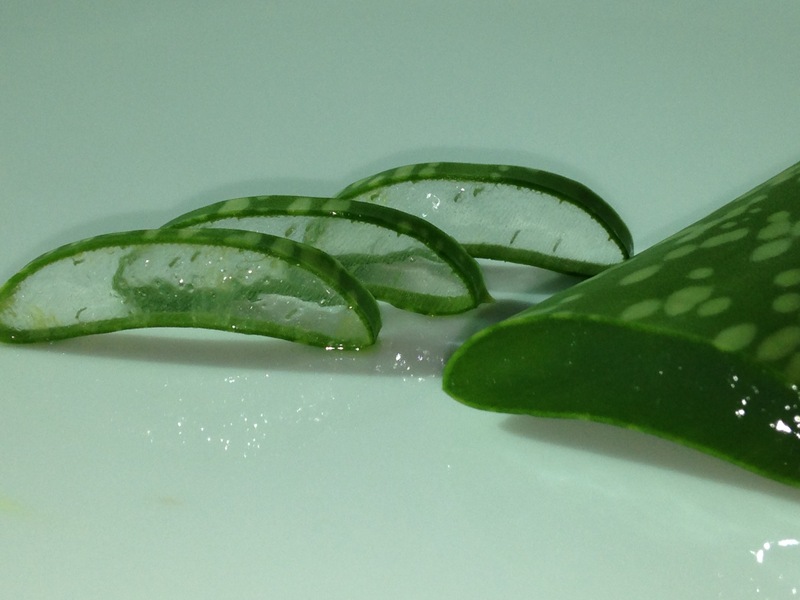 They have plenty of Vitamins A and C, preventing the damage and ageing of cells through free radicals. There is also Vitamin P, an important support for the body to absorb Vitamin C. Their high pectine content helps to bind toxins and lower cholesterol. 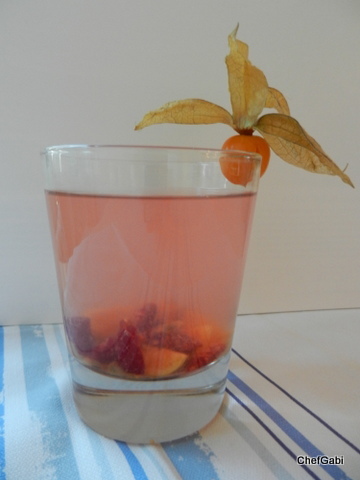 Remove 8 Physalis from their husk, cut the fruits into quarters and place in a carafe. Mash 6 raspberries with 1 tablespoon of agave syrup or acacia honey (or more if you wish to have your lemonade sweeter). Add to the fruits in the carafe and top with the juice of 1/2 organic orange and 350 ml still water. 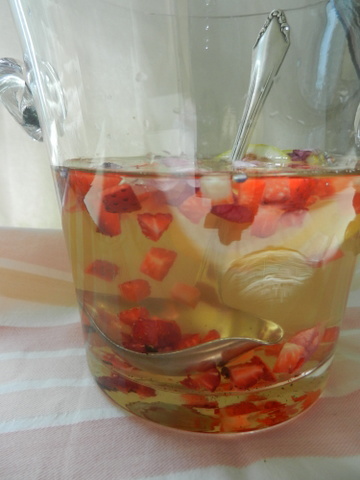 Stir well and leave the mix in the fridge for around 1 hour for maceration. Serve on the rocks. Recently I cut my roses in the garden. They have suffered in the heat and dried out a little bit, despite the fact I gave them enough water. So I thought I have to pamper them with an extra dose of ground coffee (leftover when coffee is made – recycle!) after the cut. It was good to see how fast they recovered, they became very green. Now they rewarded me with even more beautifully smelling blossoms. I took one off, trying to get more excitement to my daily intake of 2 litres of water (pure water is sometimes boring, isn’t it? 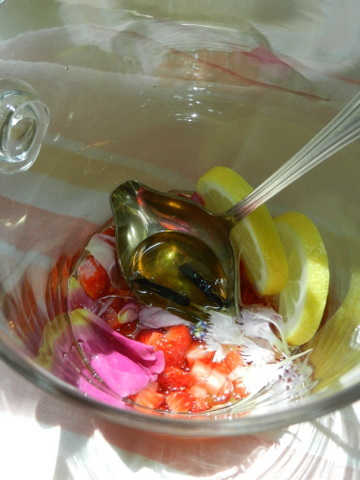 ), and mixed the rose blossom with diced strawberries, vanilla pod, organic lemon and plenty of still spring water. 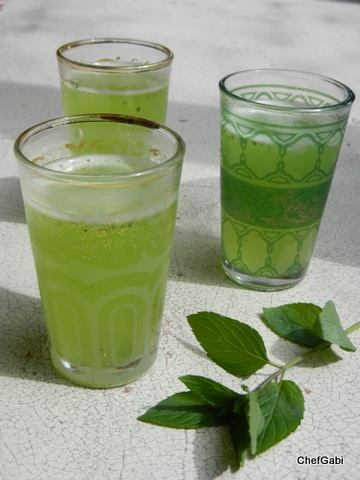 After a couple of hours in the fridge this drink was so refreshing and delicious! 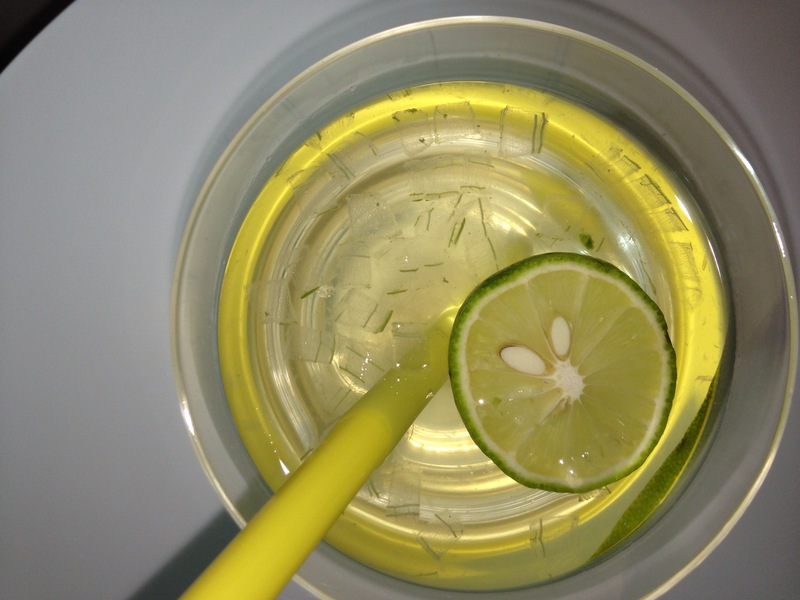 Look also here for another flavored water. The Elder bush is highly appreciated in the region of Germany where I come from. There is a saying you have “to bow down in respect” in front of an elder bush. This plant has indeed great therapeutic benefits. 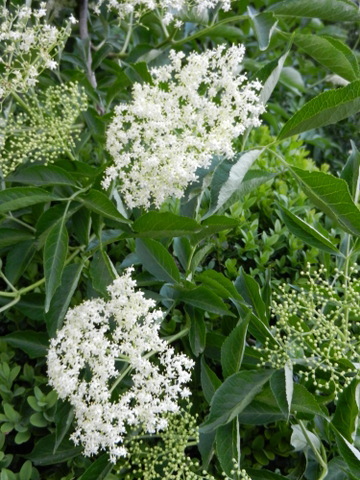 When an Elder bush grows near to a house, people feel lucky through its pure presence. And of course because they can easily access its health benefits when needed. 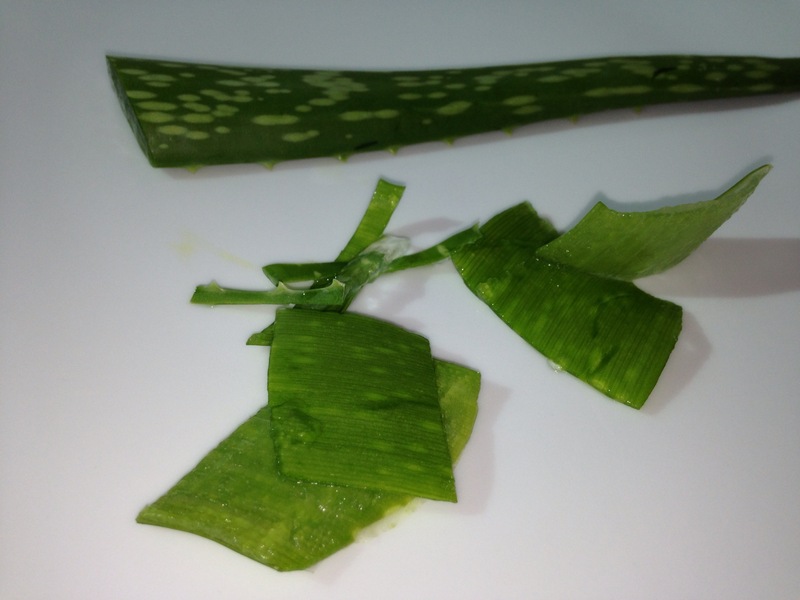 It is a cleansing and cooling herb, boosts immune system, reduces fever, soothes the respiratory tract, is anti inflammatory and purifying the blood. Pour the water in a large carafe. 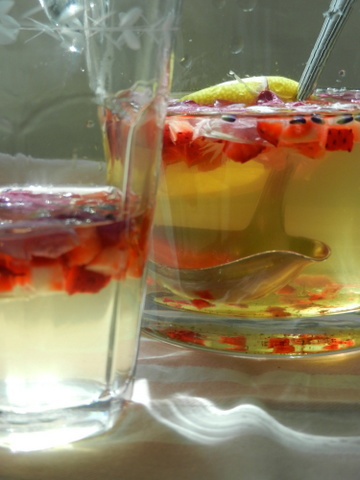 Wash the lemon and slice it with the skin.Bundle the elderflowers and dip the flowers into the water. Cover with cling film and leave in the fridge for 24 hours. Remove the elderflowers. Blend some of the elder flavored water with 1 slice of the macerated lemon and the agave syrup, strain and pour the liquid back into the carafe. Serve it cold. 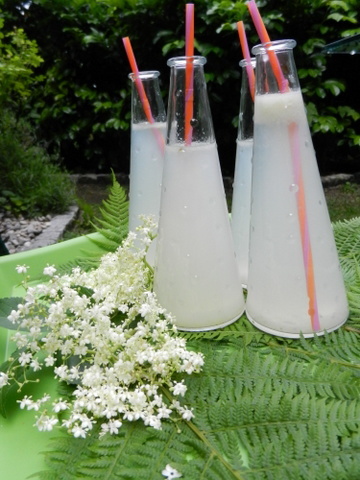 This lemonade works only with fresh elderflowers. Not dry ones. (They are good for tea). 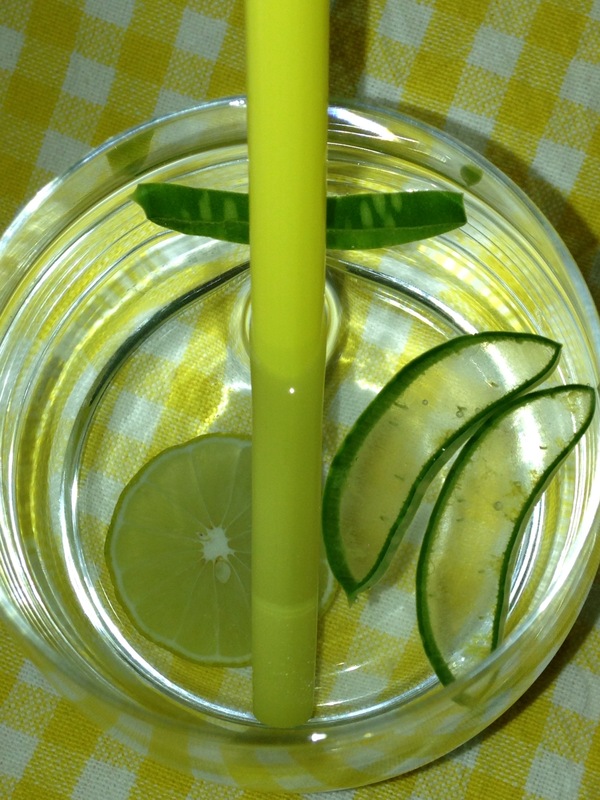 When making this lemonade, never dip the ends of the elderflower stalks into the water. 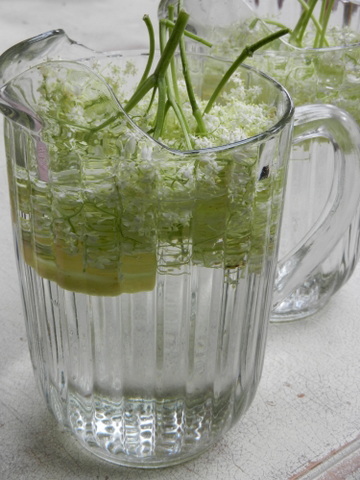 Elder flower lemonade keeps for just 2 days in the fridge. Anyway: Once you taste it, you can’t stop drinking and it will be gone in no time. 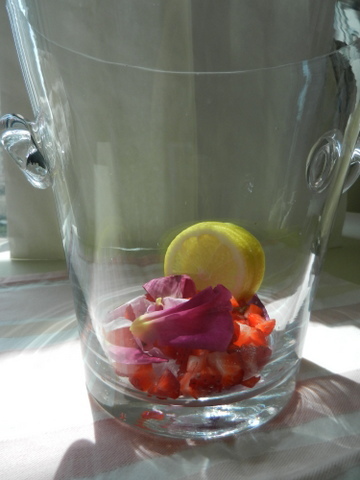 In case elder flower is too difficult to source, another lovely home made lemonade recipe is coming soon – strawberries and rose, another favorite of mine.